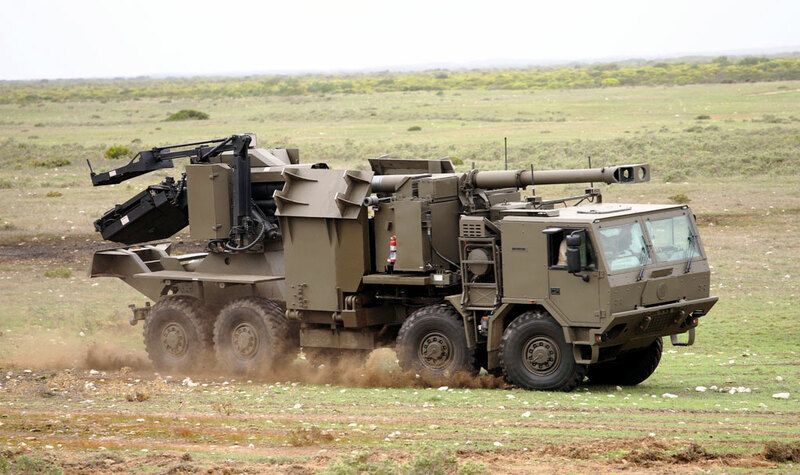 With part of the focus on indirect fire capabilities, meeting the Chief of Staff of the South African Army Artillery allowed EDR On-Line to acquire the latest information on one of the key elements of the land forces. 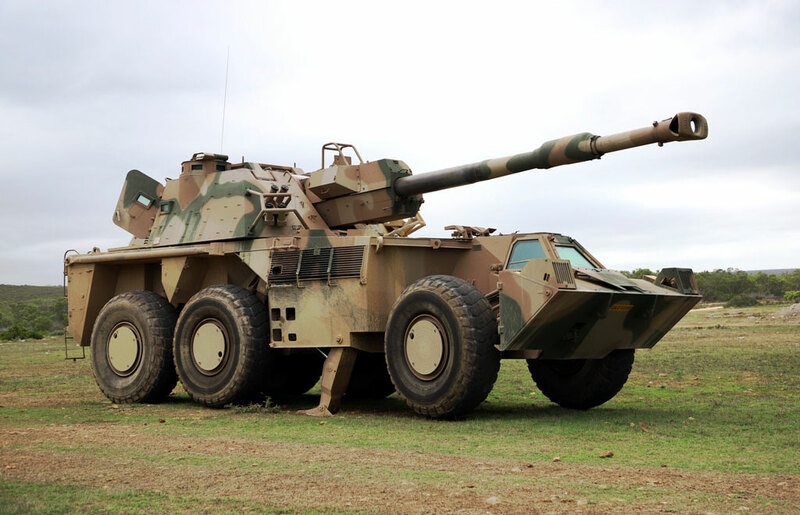 The presence of the T5-52 wheeled self propelled howitzer at ADC2019 was misleading, as in fact the South African Army has not yet received any such system, the gun having been operated at the demonstration by Denel personnel. 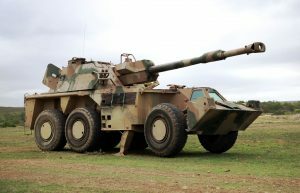 The South African Army is considering the strategic context before deciding if replacing existing guns with new systems adopting new technologies, or upgrading the G6 currently in service. The latter allowed to mature technologies, the adoption of a Tatra T815 chassis with swinging half-axles providing a bonus in terms of mobility at a reasonable price, the Artillery CoS explaining that South African scenarios do not require tracks. 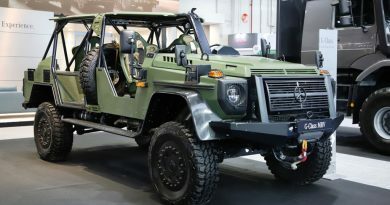 In case of upgrade the G6 would be fitted with a 52-calibre barrel and a 23 litres chamber. 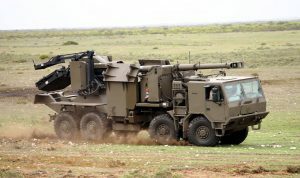 All South African artillery is fitted with the Thales Artillery Target Engagement System (ATES) digitised C2 from brigade to battery level fire control system, which is being fitted also to the T5s, the system having proved to be capable to identify a target and shoot the first round within two minutes. 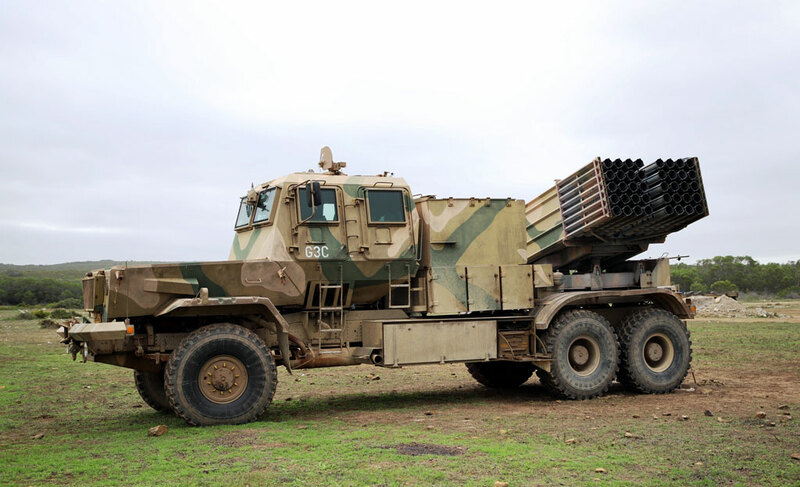 This also includes towed G5 howitzers as well as Bateleur 127 mm Multiple Rocket Launchers as well as infantry 120 mm mortars, the latter being integrated in the target engagement system. 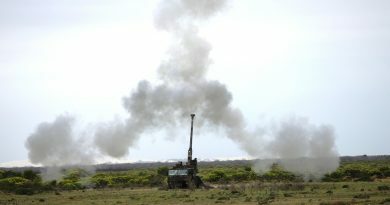 The seven existing artillery regiments are all made of batteries deploying the three systems currently in use, G5, G6 and the Bateleur MRL; the Artillery Observer Teams are part of the batteries, and when supporting infantry units they deploy with the supported force together with the battery commander, tubes remaining under the responsibility of the Second-in-Command. 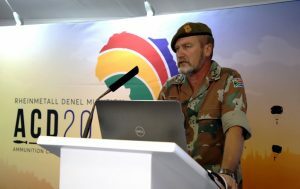 The briefing of Col. Ettienne Visagie, from the South African Army Infantry Formation, was mostly centered on the ammunition problem linked to the different tasks the Army is called to carry out, the issues with the Laws Of Armed Conflicts (LOAC) and International Conventions, and with the extremely diverse conditions that can be found in operational theatres. Starting from this last point, he underlined ho South African infantrymen can find themselves confronted to desert theatres, where they find open spaces, few obstructions, sandy or rock surfaces, extreme heat conditions and long ranges of fire, or in contrast in jungle theatres, where fields of fire are impeded, fight happen at short range, in a hot, humid and wet condition, with overhead a double or triple canopy of vegetation. Urban operations are also becoming common, with built-up areas, vast camps hosting internally displaced person, short ranges and impeded fields of fire. To these scenarios two more were added recently, border protection and anti-poaching operations. 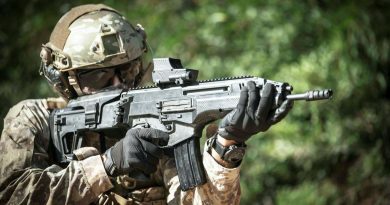 Currently the South African Army infantry is equipped with the Vektor R4 assault rifle chambered for the 5.56×45 mm NATO cartridge; an inherently unstable bullet, that of the 5.56 mm weapon is easily destabilised by foliage, its penetration being thus considerably reduced, thus considerations on a bigger calibre, an obvious choice being the 7.62×51 mm NATO round, being currently made. Another issue is that of mortar rounds; both jungle and sandy desert reduce the effectiveness of mortar fire, in the first case due to premature detonation in the canopy, when using impact fuses, while foliage reduces considerably the lethality of those rounds that detonate below the canopy thanks to the use of time-delayed fuses, as for desert the sand tends to contain the fragments of ammunition with direct impact fuses, the solution being thus proximity fuses, which however increase cost. 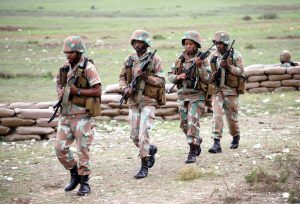 Today the South African Army should not have any involvement in desert areas, following the withdrawal from Darfur in April 2016, some units still operating in the area until late 2018. 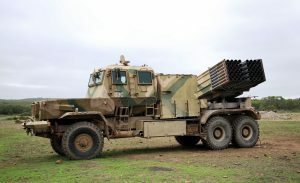 As for jungle, the SANDF remain involved in the Democratic Republic of Congo’s North Kivu Province as part of the MONUSCO the United Nations Organization Stabilization Mission in the country, where they fight against the Allied Democratic Forces, and more specifically against the March 23 Movement. For small arms the ammo issue is a constant source of discussions; as said earlier the debate between 5.56 and 7.62 in common to many countries, and probably in the jungle a bigger mass and more stable round might be of use, the SA Army having come to the conclusion that for bigger calibres in the foliage Kinetic Energy rounds have better effects than HE rounds. Canister shots out of 40 mm grenades, as well as 40 mm Dual Purpose, both low and medium velocity, are also being considered and tested in this scenario. 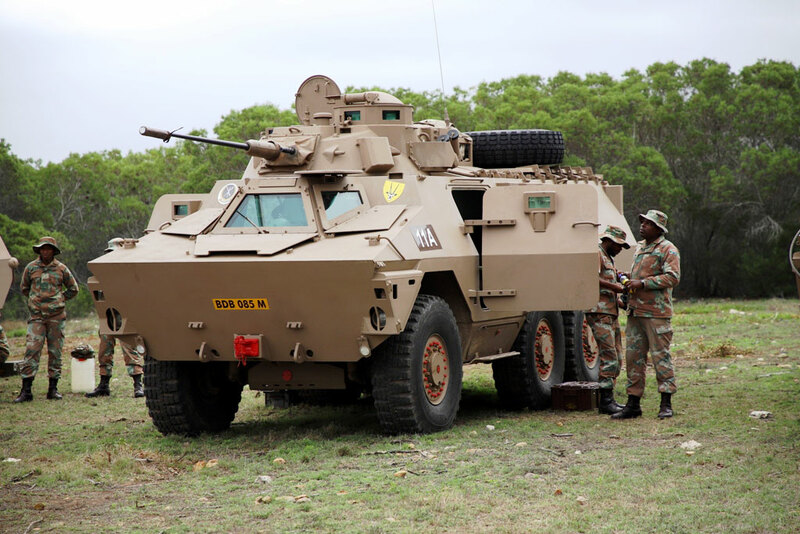 For urban areas the risk of collateral damages led soldiers to be very careful in returning fire, the SA Army focusing on less-than-lethal (LTL) solutions, Col. Visagie considering that there is a lot of room for LTL developments especially in the 40 mm grenades field, although LTL assets must always be backed up by lethal force, to allow escalation if needed. 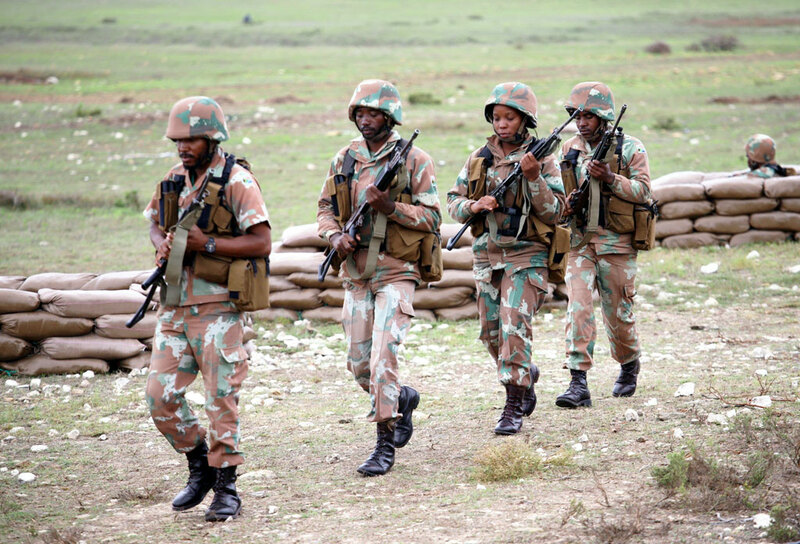 In urban, border and anti-poaching operations shotguns have made their comeback, the SA Army using also non-conventional slugs such as Barbel ammunition, made of two spheres linked by a cylindrical rod, that fit into a 12-gauge round, providing a considerable stopping power. Rounds capable of stopping vehicles are also being considered. While in the past the sniper capability was only available to Special Forces, now the SA Army has snipers at all levels in its infantry regiments, and is deploying .308, .338 LM and 12.7×99 rifles. Some final considerations were made about packaging; while first line ammunition are carried in magazines, there is often the need to carry more, and these are contained in packaging that is definitely not carry-friendly. The use of resealable packaging and de-humidifying agents would allow soldiers to carry the quantity of add-on ammunition needed and to store them back at the end of the mission. 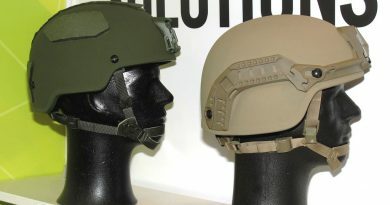 According to Col. Visagie a better understanding between industry and soldiers on the field is needed in order to provide the warfighter the right tool, at least meeting in the middle of the respective needs. 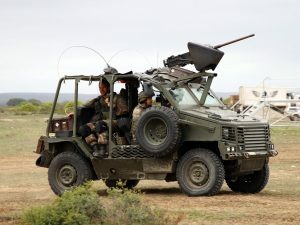 Most of the South African Army assets were deployed on the Overberg range, however one of them was missing, the Badger. Although that programme does not fall under his hat Col. Visagie accepted to clarify the situation of the Badger to EDR On-Line. 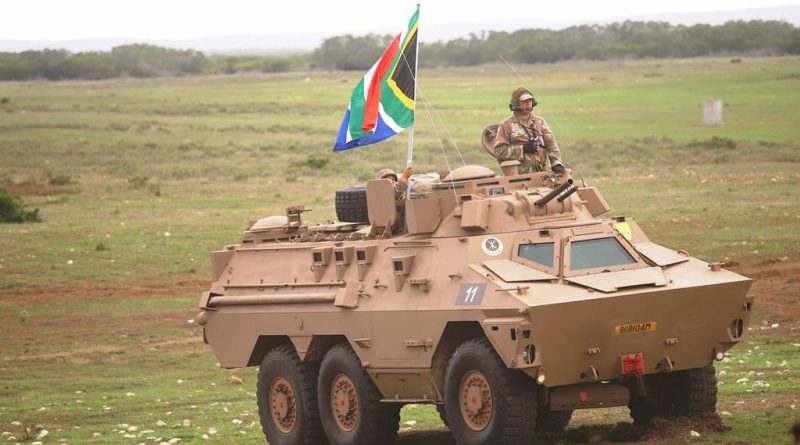 Currently 21 Badgers, the Patria AMV locally produced by Denel and fitted with the Denel LCT30 turret armed with a GI-30 Cam Gun 30mm gun, are already in country, the Army having started recently the OT&E (Operational and Tactical Evaluation), which is due to end in 2021. While Denel financial problems seem to have impacted the programme, Col. Visage confirms that the development is continuing according to plans, first deliveries being planned for 2022, when two battalions should be equipped, each of them being made of over 80 Badgers in four different configurations. 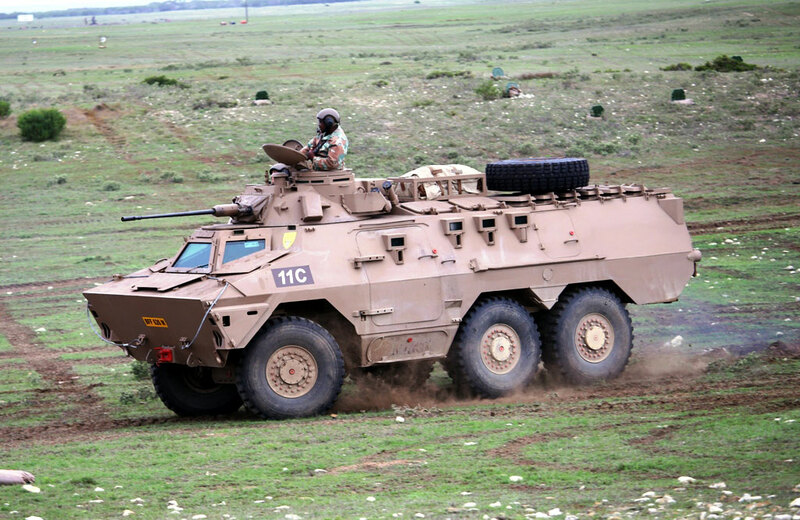 The Badger acquisition is part of a project known as “African Warrior” which aims at modernising the SANDF equipment.